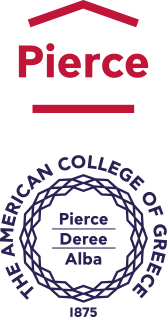 Since its founding in 1875, The American College of Greece (ACG) has provided assistance to students who need help so that they can meet their educational expenses, thereby enabling students with demonstrated ability and promise to access a quality education, regardless of their financial circumstances. Over €3.8 million in need-based, merit-based scholarships, and financial aid have been awarded for Deree students for the academic year 2017–18. The College has expanded scholarship and financial support programs to ensure the affordability of an ACG education particularly in these challenging economic times. The Financial Assistance Program at ACG provides various levels of financial assistance based on need and/or academic achievement. The governing philosophy of our program is grounded in our belief that lack of funds should never prevent academically talented students from receiving a quality education. Funding for financial assistance originates from the College’s own resources and from the generous contributions of donors. The donor, Mrs. Ioanna Arvanitis, established the Constantinos and Anneta Arvanitis Endowed Scholarship in 2010 in loving memory of her parents. The scholarship is awarded periodically, and offers 100% tuition reduction, providing financial assistance to new undergraduate students of Deree who have family roots from Aighialeia or Kalavryta. The Constantinos and Anneta Arvanitis Scholarship provides new students a 100% tuition reduction for the duration of their studies at Deree, which cannot exceed 9 consecutive semesters. The scholarship is awarded on a rotating basis, so that a new scholar is selected only after the previous recipient has graduated. The scholarship may be awarded in either the fall or spring semester. 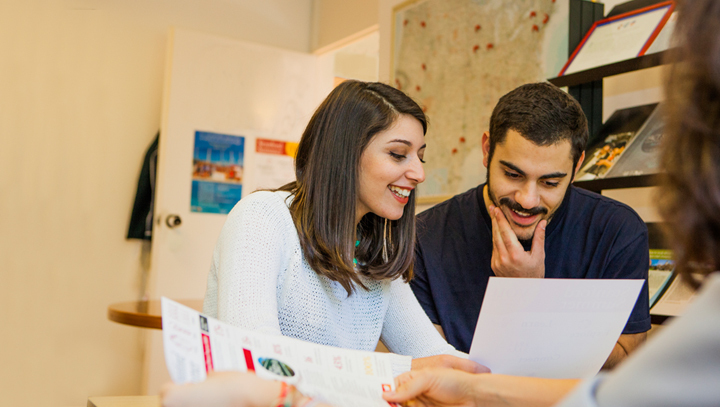 First preference will be given to students who have family roots from the regions of Aighialeia or Kalavryta and/or have graduated from a high school in Aighialeia or Kalavryta (Prefecture of Achaia, Peloponnese). In the event that no such students are identified, ACG will consider students with family origins from other areas of Greece who meet the qualifications after written notice to the donor or Mr. Georgios Karaouzas-Arvanitis or their legal inheritors. ACG will ask that she/he/they acknowledge such notice and his/her/their agreement in writing, but shall be deemed to be authorized to make the award if neither responds within three weeks of such notice. To retain the scholarship, recipients must be full-time students every academic semester and maintain a minimum Cumulative Index (CI) of 2.5 after completion of 32 undergraduate academic credits, and 3.0 after completion of 64 undergraduate academic credits, and must be in compliance with all College policies including the Student Conduct Code. New applicants, who have siblings currently awarded a Constantinos and Anneta Arvaniti scholarship, will be granted the scholarship only if there are no other eligible candidates. Recipients are required to sign an agreement to annually submit a letter to the sponsor of the scholarship reporting on the recipient’s academic record and progress. The letter must include the recipient’s current CI. This endowment scholarship has been established by an anonymous donor who is a former trustee of ACG in honor of George Agorogiannis and Paraskevi Menegatou Parafestas. It is intended to provide financial assistance to undergraduate students of Deree with parents who reside in the Ionian island of Kefalonia and/or the greater city of Larissa in Thessaly. The George Agorogiannis and Paraskevi Menegatou Parafestas Scholarship provides tuition reduction based on annual spending policy set by the ACG Board of Trustees then calculated by the Business Office and reported to the Financial Assistance Office. It is awarded for one year with the possibility of renewal to the same recipient provided he/she continues to meet the scholarship requirements. First preference will be given to eligible applicants with parents who reside in the Ionian island of Kefalonia and/or the greater city of Larissa in Thessaly. If there are no eligible candidates from Kefalonia or Larissa, applicants from all the Ionian Islands and the Thessaly prefecture will be considered. If there are no eligible candidates from these areas, then candidates from any part of Greece will be considered. To retain the scholarship, recipients must register for at least 2 courses (6 credit hours or more) per continuous semesters and maintain a Cumulative Index (CI) of 3.0 or better by the end of the first semester of study. This CI (or higher) must be maintained while receiving the award. For more information, please click here or contact the Office of Financial Assistance and Planning at 210 600 9800 ext. 1305, 1306, 1327, or at [email protected].